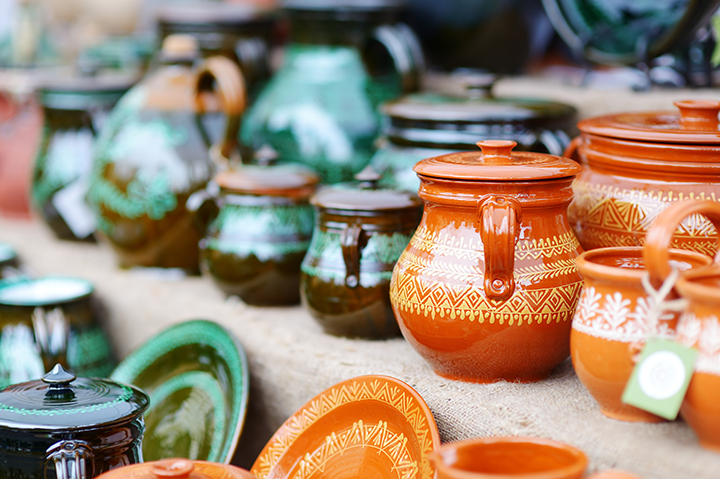 Organized and produced by The Cotuit Federated Church, the annual outdoor crafts festival attracts thousands of visitors to the bucolic Cape village, located in the Town of Barnstable, on the hilly and wooded shores of Cotuit Bay and Popponessett Bay near Nantucket Sound. Although handmade crafts are the main attraction, a large tent of selected painted works by local artists is an anticipated highlight of the show. And while many come in search of a visual feast, others come for the food! Volunteers from the Cotuit Federated Church traditionally offer visitors an unending taste of oversized lobster rolls prepared in the church’s adjacent kitchen. Founded in 1846 by a group of Cotuit Port sea captains, the Cotuit Federated Church continues its affiliation as a Methodist and United Church of Christ (formerly Congregational) Church welcoming worshipers of all faiths. The crafts festival has been a project of the church since 1970 — and is a valuable contributor to the congregation’s efforts to raise funds for the church’s many programs of service and outreach within the community.